Stay at one of our Byron Bay hotels and experience this relaxing town, famous for alternative living, surfing and eco-tourism. Hit the beach and soak up some rays at one of Byron Bay’s famous beaches, which are some of the prettiest and cleanest on the east coast of Australia. Bring your surfboard too, as Byron is known for its great surf breaks! Head a little further east and visit Cape Byron, Australia's most easterly point and a great location for whale and dolphin watching. The most commonly sighted whale is the Humpback as they migrate past in May and June to breed, and return in September and October with their calves. Take a stroll around Cape Byron and up to the lighthouse, as the area has spectacular views of the ocean and rainforests. Our Byron Bay accommodation also makes a great base for experiencing the local Aboriginal culture and historical sites, which are maintained by members of the Arakwal clan. The area has a number of sites where the Aborigines camped and ate pipis, fish and animals, and the oldest site in the region is located at Palm Valley. Head out of town and visit Crystal Castle, just 20 minutes from Byron. This tranquil place is a popular attraction and features stunning crystals surrounded by beautiful gardens, as well as a store that sells jewellery and other spiritual goods. For a great family day out, head to Macadamia Castle and visit the animal park, mini golf course, adventure playground and try a range of tasty macadamia goodies. Byron Bay also has a wide variety of quality restaurants, great takeaways, clothes boutiques and a number of shops selling works by local artists. The Byron Bay Markets are held the first Sunday of every month at the Butler Street reserve, and have numerous stalls selling handcrafted wares, artworks and locally-grown produce. Byron Bay is also home to a number of annual music festivals including the East Coast Blues and Roots Festival, held over the Easter weekend, and the Splendour in The Grass Festival, held at the end of July. Byron Bay is an easy two hour drive from Brisbane and a one hour drive from Sydney, making it ideal for a beach escape. Leaving the car at home? 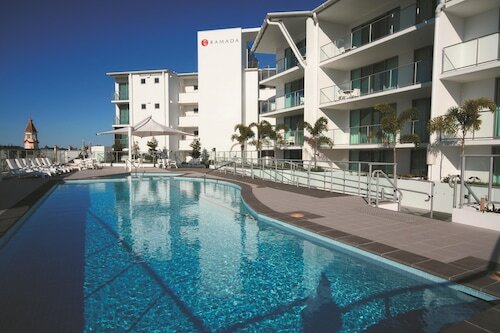 Take advantage of the shuttle buses that run between the Brisbane CBD, airport, Surfers Paradise and Ballina. No matter how you get there, prepare yourself for a great holiday with our Byron Bay accommodation. How Much is a Hotel Room in Byron Bay? 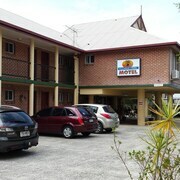 Hotels in Byron Bay start at AU$72 per night. Prices and availability subject to change. Additional terms may apply.